The eyes are one of the first things we notice about other people; they can either make a lasting, memorable impression, or a dull, forgettable one. As people age, the skin near their eyes can become loose, wrinkled, or sunken. Fortunately, there are now a number of effective aesthetic treatments available that can help patients take back control of their appearances and improve the look of their aging eyes. At the Dermatology, Laser & Vein Center, we’re proud to provide patients in the Cincinnati area of Ohio with a wide range of effective cosmetic solutions to aging eyes. If you’d like more information about our practice or are interested in scheduling a consultation appointment, contact us today. How do the Eyes Show the Signs of Aging? Over time, everyone inevitably begins to develop the wrinkles, fine lines, and discoloration characteristic of aging. The skin near the eyes is one of the first places on the body to show these signs of aging. A number of different components of the structure of the skin, bone, muscle, and fat near the eye contribute to the development of aging eyes. Over time, the skin near the eyes becomes thinner and looser, leading to wrinkling and sagging. Fat in the area depletes over time, causing dark circles to form underneath them. Repeated muscle contractions in the eye area can trigger the formation of fine lines over time. People can take precautions like wearing sunscreen and sunglasses to minimize the damage done to their eye area. But once aging eyes develop, they can be difficult to correct without undergoing an aesthetic treatment. How Can I Improve the Appearance of Aging Eyes? Before undergoing a cosmetic treatment to correct aging eyes, patients must first schedule a consultation appointment with our practice’s lead board-certified dermatologist, Dr. Shalini Gupta. 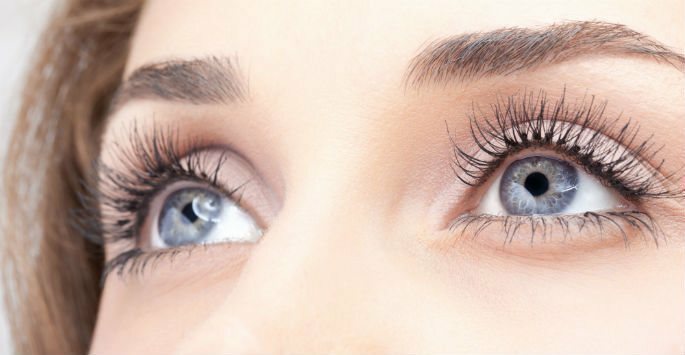 During this appointment, Dr. Gupta will examine the eye area of each patient and help them select the aesthetic treatment that best helps them meet their cosmetic goals. Interested in learning more about the wide range of treatments available to address aging eyes? Contact the Dermatology, Laser & Vein Center today to schedule a consultation appointment. We look forward to hearing from you!